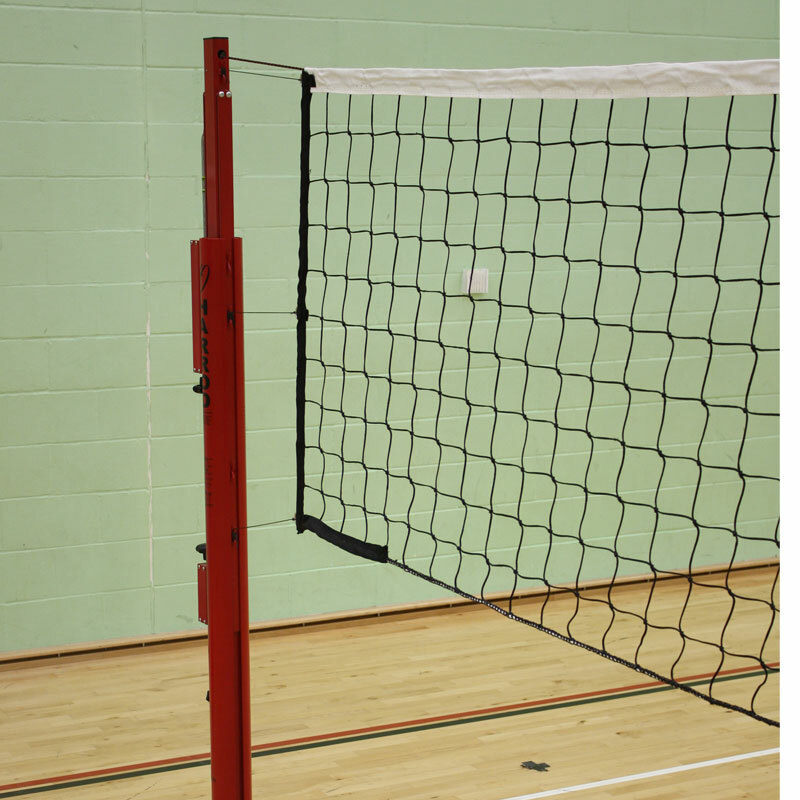 The Harrod Sport ® Competition Supermatch Volleyball Net has been designed to confirm to all relevant FIVB specifications. Complete with polyester headband, kevlar rope headline and tension rope throughout the bottom. Black 2.8mm braided nylon, (9.5m x 1m - 31ft 2" x 3ft 3"). Top - polyester headband with 4 holes at each corner, kevlar rope 11.7m (38ft 4"). Side - polyester pocket with fibreglass dowel, with 3 D rings per side. Bottom - polyester tension rope throughout bottom. Antennae, sheaths and posts need to be ordered separately.